By now you probably know about the chemicals in popular deodorants that have been linked to cancer. These findings have had many people switch over to natural deodorant, but not all natural deodorant is made the same. I decided to switch to natural deodorant, but the process took longer than expected. I tried my first natural deodorant a year ago and I applied it every day for a week. After that week, it stopped working. Quickly, I began to hear more stories from people about natural deodorants not working and so I went back to regular deodorants. But a few months ago, I discovered the Coffee Lady. I met her during an interview and learned about all her products, which all have natural ingredients, including her deodorant. So, I decided to go the natural route again and purchase the deodorant. I've been using it for about 2 months and so far I have no complaints. After a long day, I still manage to stay fresh and sweat free. 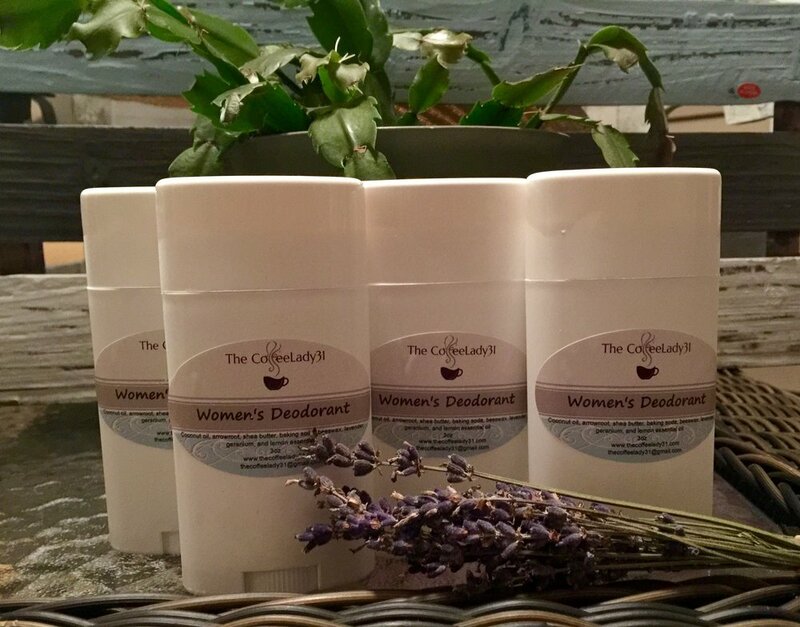 Her deodorant is made up of coconut oil, shea butter, beeswax and other natural ingredients. I'm definitely going to be riding with this deodorant for a while. Check out her products here.